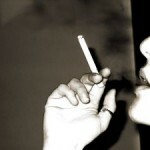 Do you think you are being healthy by cutting down on cigarettes? Think again…New research suggests that smokers who merely cut down on their smoking instead of actually fully quitting smoking, are unlikely to extend their lifespan. The claims emerge from a huge study conducted by researchers from both Glasgow and Stirling Universities, spanning an incredible four decades. 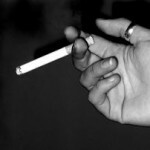 Approximately 5,200 smokers from Scotland’s ‘central belt’ were involved in two smoking studies from the early 1970s. Despite the name, the central belt is not exactly central Scotland, but is actually the Scottish Highlands to the north and the Southern Uplands to the south; the area of highest population density in Scotland. The participants were then asked about their smoking habits several years later. For instance, about whether they had managed to quit, had reduced how many cigarettes they smoked daily, or kept a similar level of smoking habit up, or even increased. Data was compiled between the 1970s and 2010, documenting each death during this time from those in the two studies. The researchers noted that people who had successfully stopped smoking had lower mortality rates in comparison to those who had kept up the deadly habit. Moreover, there was no massive difference discovered in mortality rates between the smokers who had cut down their intake and those who had not. 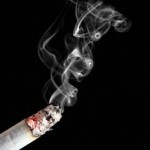 The findings however do not correlate with a similar long-term study conducted in Israel, whereby the results seemed to suggest that decreasing the number of cigarettes smoked can reduce mortality rates, although the results of the Scottish study back up the findings from larger studies of a shorter time period carried out in Denmark and Norway. Regardless though, what we can be certain of is that smoking is an incredibly dangerous habit for long-term health reduces your lifespan by many years and can impact those around you via secondhand smoke. Medical Specialists Pharmacy and almost every other health body across the world advise smokers to quit smoking rather than just ‘cutting down’. One cigarette per day is still one too many in many people’s eyes. Let’s not forget that smoking is directly the cause of numerous types of cancer, stroke and heart attacks, can cause male impotence, is terrible for the skin, but the habit is an incredibly expensive one to have to maintain. The British Heart Foundation have listed the staggering amount of money that can be saved over the duration of a year by giving up smoking, in addition to more appealing things that the cash can be spent on. 1 day (£7): Two movie rentals or a new lipstick. 1 week (£49): A family cinema trip or a meal for two. 1 month (£210): A shopping spree or premiership football tickets. 3 months (£630): A new laptop or the latest flat screen TV. 6 months (£1,260): A leather suite or a home cinema. 1 year (£2,555): A new kitchen or a holiday of a lifetime. 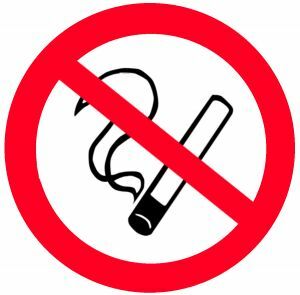 Medical Specialists Pharmacy is able to help you quit smoking with the aid of the smoking cessation medication Champix, meaning you will both protect your health and save huge amounts of money in the future as the government continually look to raise tobacco prices. 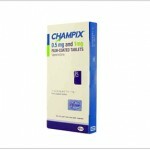 Champix mimics the effect of nicotine on the body, reducing the urge to smoke and relieving withdrawal symptoms. 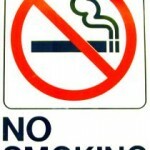 It can also decrease the enjoyment you experience of smoking if you are still smoking whilst on the treatment. The medication equates to just £75.00 per pack – inexpensive in comparison to the £2,555 you can save over a year by quitting smoking! This entry was posted in General Health News, Life Style, Smoking and tagged champix online, champix uk, giving up smoking, quit smoking, quitting smoking, smoking cessation, smoking dangers, stop smoking, stopping smoking. Bookmark the permalink.